Posted 3 years ago on Friday, April 1st, 2016 by James S.
This generally works OK. 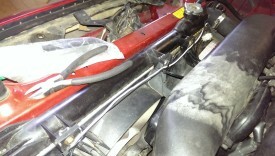 However, with the AC removed from my car, the passenger fan was never being used. 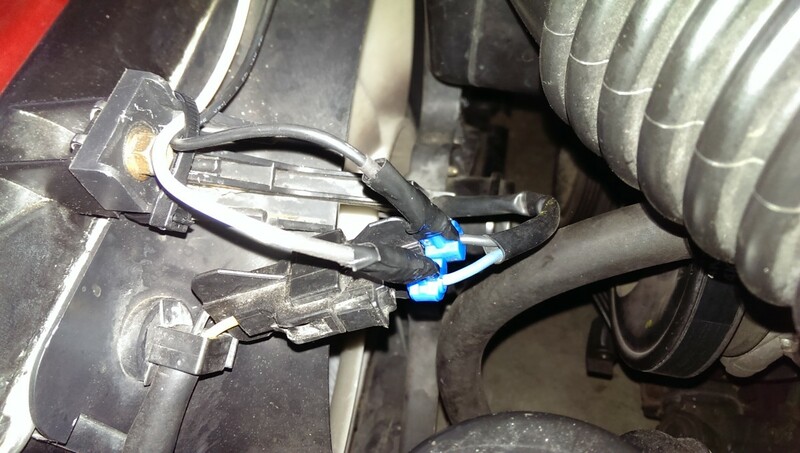 Since it was just sitting there, I figured why not wire it to come on at the same time as the driver’s side. 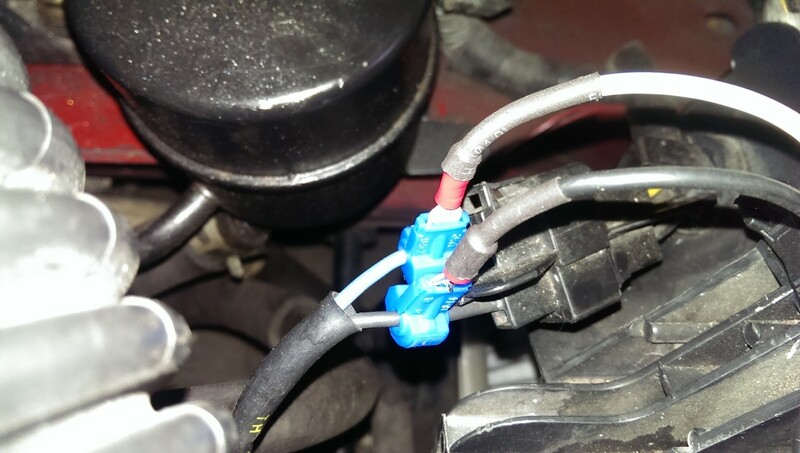 From other people who have done this mod with AC, parallel fan wiring appears to provide plenty of circulation for the AC as well. If you’re at all handy with electrical work, this can be done in 10 or 20 minutes. 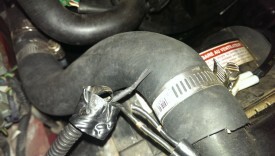 Start by unplugging the passenger side fan. 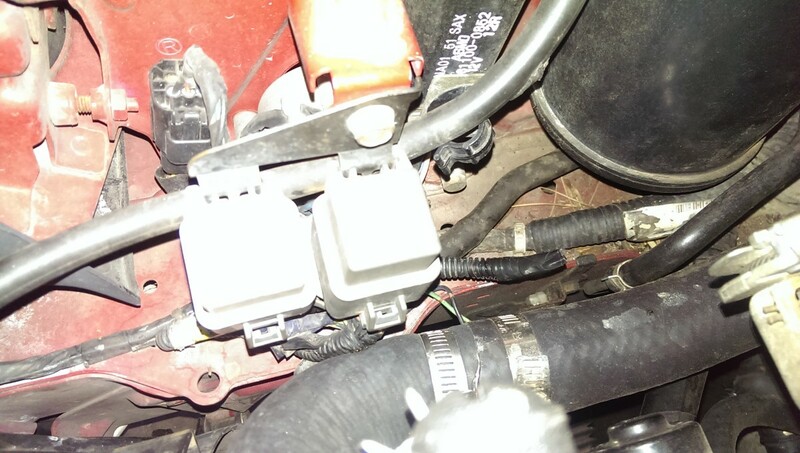 The white connector is the female portion that hooks up to the fan. The power for the AC fan (passenger side fan) comes from a relay on the passenger side. 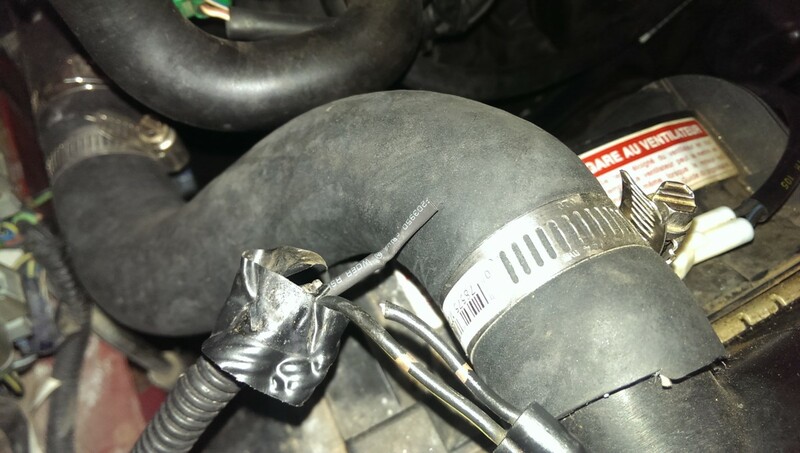 I ended up simply snipping this connection off and sealing it with heat shrink tubing. 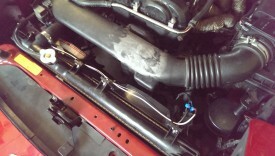 This insulates it and prevents it from causing a short, but allows me to easily restore its original function later. If you wanted to fully remove it forever, you could also probably remove this relay, etc. 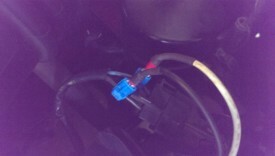 I wrapped both leads in some electrical tape afterwards and tucked it away near the relays. I wanted to still be able to quick-disconnect the fans to remove them from the car. 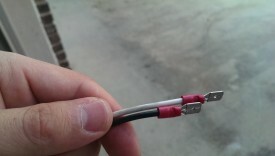 I kept the black plug I had just cut off, and soldered it to some 12 or 14-gauge wire I had leftover from a past project. In this picture, I’m stripping the wire to make the connection. 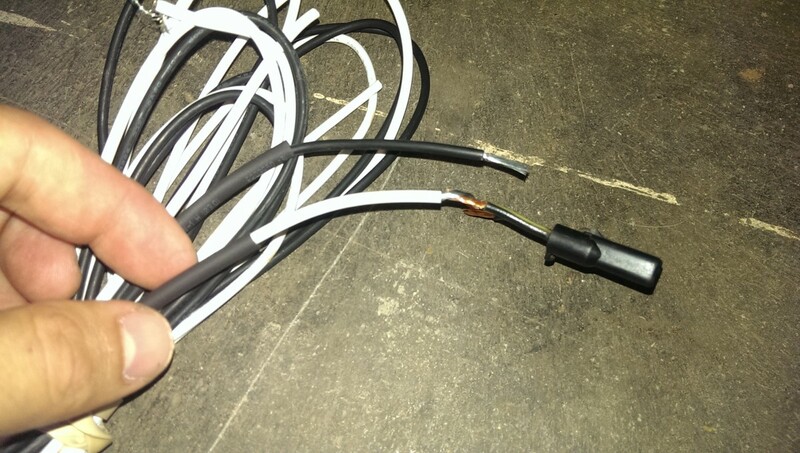 I use heat shrink tubing whenever I solder a connection. You can get a whole assortment of it very cheaply on Amazon or at Harbor Freight or wherever. I slide it down the wire, then solder the connection. 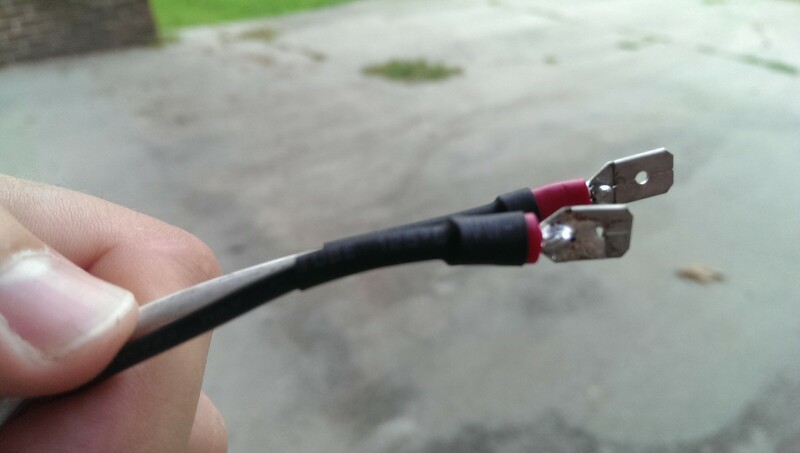 Finally, I put it back over the soldered connection and use a heat gun to shrink it. A lighter will work in a pinch, just be careful not to burn it. I’ve had great results with the resulting connections lasting for years. 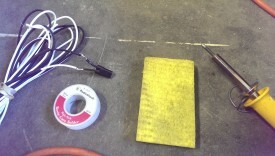 I assumed the yellow striped wire is positive. 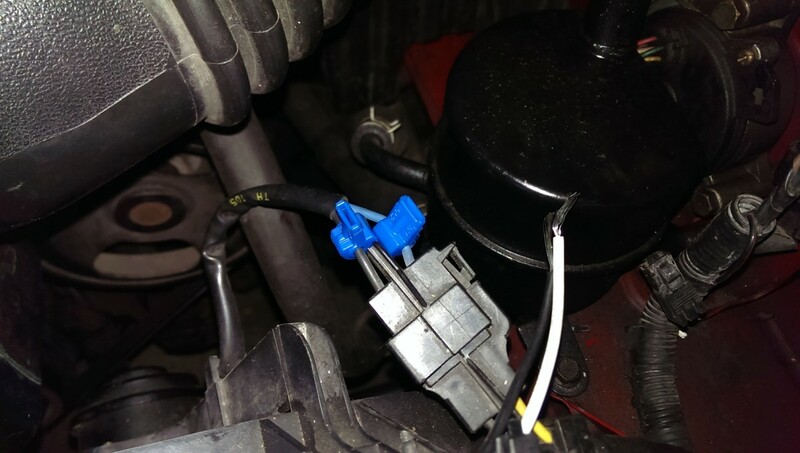 I connected it to the white wire for my new run. 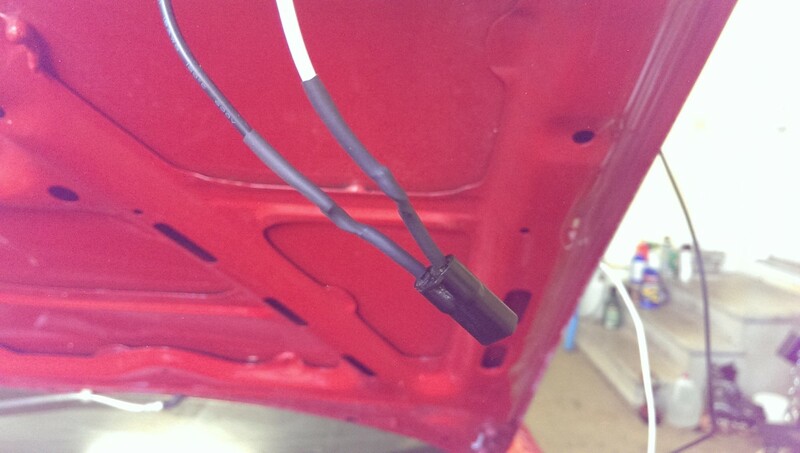 And with that, this wire can now be plugged into the passenger side fan. Half of the work is completed, now we just need to tap this wire into the driver side fan power. I plugged the connection in next and ran the wire over the fans, routing them so that they stayed secure. 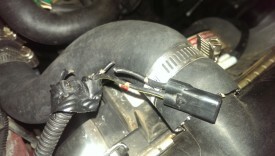 I used two wire taps to tap into the driver side fan power. You close one of these on top of each wire you want to tap into. 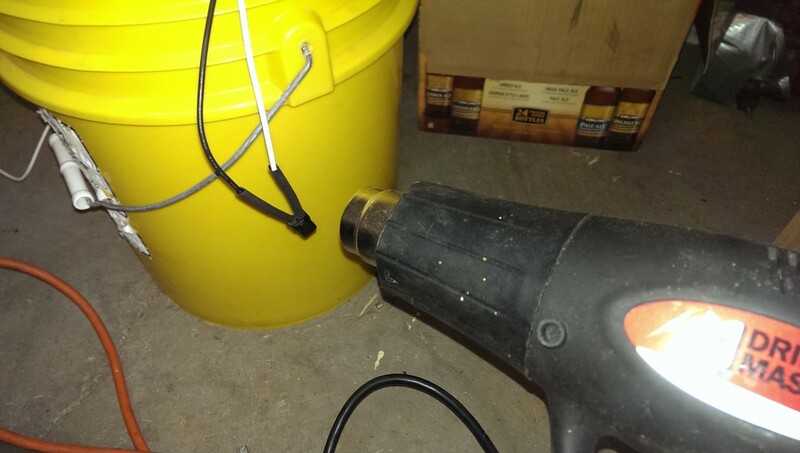 It pierces the insulation on the wire, and when closed you can plug a blade connection into it. 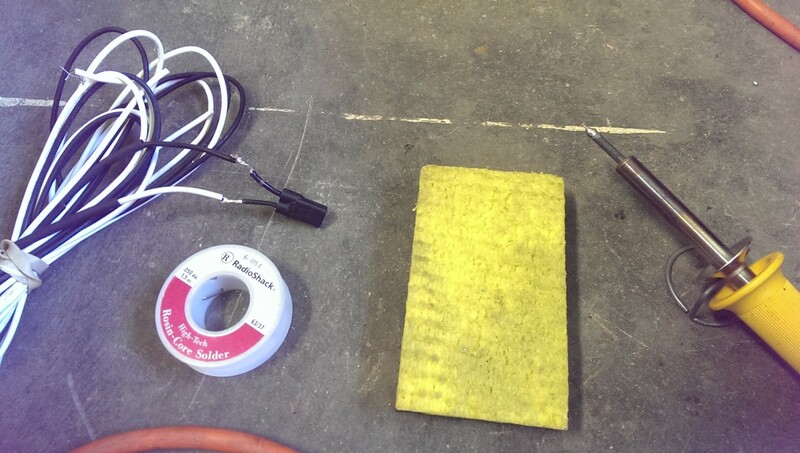 This way, you can connect a wire to an existing connection without having to cut it and juggle with connecting 3 wires together. The pictures should make this more clear. 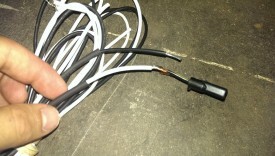 Wire taps are sold in various sizes. I think these were for 12-gauge wire. 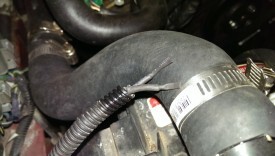 The first step is to close the wire taps on the driver side fan wires, as shown. They’re now ready. Now I cut the wire from the passenger fan to length and put a blade connector on each wire. 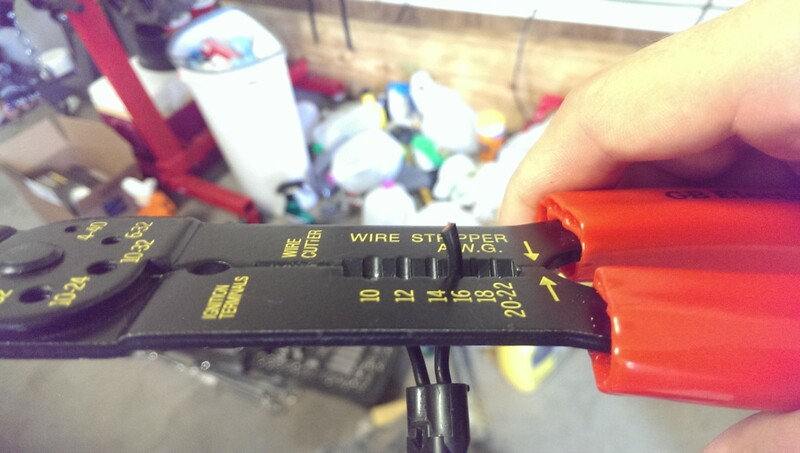 These are crimp on, and with a proper crimp tool, you can do that. 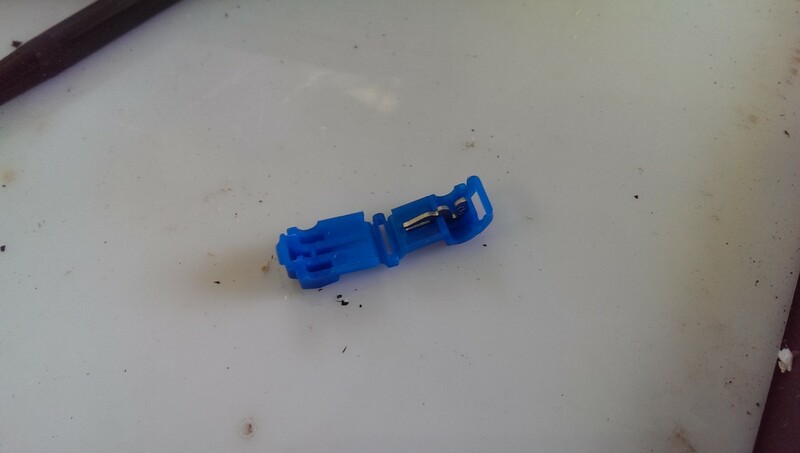 I have had awful luck with crimping though, so I usually add some solder. I also add heat shrink tubing to further seal it against water, etc, but this is optional. 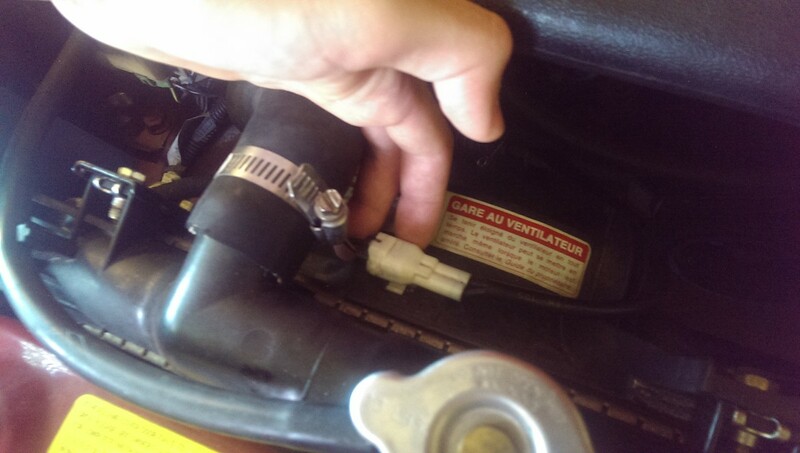 Finally, you can go ahead and plug the blades into the wire taps. I assume the blue wire in the driver side harness is positive, you can test with a multimeter. This should complete the job. To test, just let your car idle and watch the temperature. After it heats up, both fans should eventually kick on together. The only final wrapup is to ziptie the wire to the fan housing to ensure it doesn’t move around.